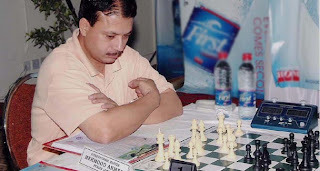 The Pakistan National Chess Championship is currently on in Karachi. Reigning national chess champion Mahmood Ahmed Lodhi, national master Raees Ansari and Asif-ur-Rehman are leading with three points each after the second day of the 28th National Chess Championship at Hotel Beach Luxury Hall. International Master Mahmood Lodhi of Punjab bidding for his 13th title got a walkover against Muhammad Shafiq Senior. Asif-ur-Rehman of Hyderabad also maintained his winning sequence when he beat Nawaz Zehri of Baluchistan. Raees Ansari beat Sajid Moosa of Balochistan.